.........................I was so impressed by The WILD Way to Lucid Dreaming, by Slider. I have been interested in lucid dreaming for quite some time and this is the only method that gave me any success. I was able to reach the first goal the very first time I tried, and the second time I tried I was sitting at my desk and flipped into a lucid dream and almost fell off my chair. It’s recommended to try this only while lying down. Lucid dreaming is realizing in a dream that you’re dreaming, an awareness of what’s happening. Think of the film, “Inception” as that is what they were experimenting with. Lucid dreaming sounds like a lot of fun, but it also has some practical uses. Have you ever wanted to fly in a dream? You can with lucid dreaming. Once you are in a lucid dream, just intend or think about what you want to do or where you want to go, and it happens. This is the best book I have read so far on this subject. I’ve mentioned that I had success with it already. WILD is an acronym for Waking Induced Lucid Dreaming, as opposed to DILD or Dreaming Induced Lucid Dreaming. Many or most of the other lucid dreaming books out there require you to go to sleep, and then pick up clues you have been conditioning yourself with to realize that you are dreaming. For instance, some dreamers say to look at your hands. If you are dreaming, they may not look normal and you will hopefully realize that. 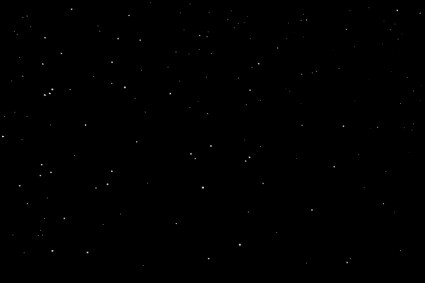 They may appear to be deformed or disappear as you look at them. Sounds frightening, but there is no danger with the WILD method. Slider has truly achieved a landmark and everyone with any interest should pick up a copy of The WILD Way to Lucid Dreaming. I used to think you were making it sound too simple, but I kept at it and you're right. WILD is the best. I can do it reliably now. My next goal is to be able to do it quicker since it can take me a couple hours. It works with me like you describe it, I can see how dreams develop from starting with hypnagogic images, I am like sucked into a film but I stay an observer. First up, this book was a gift as I requested a copy so I could read and review it. My own dreaming experience is over a lifetime so I am familiar with the concept and practice of WILD and so feel I am in a good position to evaluate the purpose of this work. 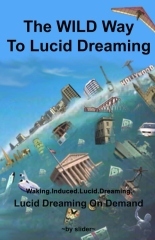 The book starts with the author introducing himself and outlining his progress, the challenges involved, and his ultimate success with this type of lucid dream entry, and is written in an easy flowing style that makes it a great read. On from this it follows with some history and background on lucid dreaming that builds and eases the reader into the meat of the book and the WILD way to enter into a lucid dream. The section on the WILD techniques is the main theme of the work and is well written. From personal experience it's also accurate in what it is describing and the way outlined to attempt this is valid, so it’s a great guide on how to WILD. With perseverance there is no reason why a person would not succeed at some point if they persist with the technique. I would recommend the work for the section on WILD and what it contains as it's presented in a nice way, and is a useful method that can be followed as a means to enter into a lucid dreaming state. I've read the book and it's great for learning this method. He also has some interesting idea's in regards to Dreaming which are worth reading as well. I don't 'promote' peoples work lightly, yet this WILD book and method is so fast and simple, as well as cutting through all the crap one must attempt to do with others methods, I feel I need to mention it here. Buy the book. Do the work. Dream. It's really that simple. I just finished reading this book and had to laugh. I’ve been WILDing for many years now. I DILD at night and WILD during the day for naps and such. I never thought of the ‘process’ I went through during the day to enter Dreaming. slider just explained it! LOL! - I hope he gets rich and famous off his book! Good work! This book is no less than a revolutionary piece of art. With everything concerning debate stripped away to leave only the exact process so as to keep the reader from jumping to conclusions about this or that, The WILD Way To Lucid Dreaming TRULY is the most practical of all guides created. I now declare this the best lucid dream book I've ever read (previously I thought it was Alan Wallace's "Dreaming Yourself Awake." To be fair to Alan, as far as Buddhist philosophy goes, Alan's is still the best. But that's not Brian's intention - his is purely practical. For practical lucid dreams, you just can't beat this. So I enjoyed my first WILD this morning - thanks for the tip! This is much more accessible and more 'on demand' than regular lucid dreaming. Very interesting to watch what happens as we begin to fall asleep and as these images pop up! I am preparing to plug Brian Aherne's (slider's) book big time on my unworlding group just this morning since this awesome book has just provided me with a milestone experience, my first ever totally lucid WILD from a waking state. This is the first really great, original book I've found in a long time. ***** Simple and straight forward instruction. Simple and straight forward instruction about how to induce WILD. I like the way writer keeps open minded about theories. ***** Call of the WILD. Very nice, the chapters of the book are a good-humoured and balanced look at lucid dreaming, the real gold being the method the author describes for wake-induced lucid dreams. Recommended, well worth the price if you can master what is a far less complicated sounding technique than DILD-doing. The Facebook Lucid Dreaming Group! - Now With 30,583 members! This book is a great way to learn more about our dreaming. It is written in a way that anyone can understand the concepts of the dreaming world. We all dream but some people might be surprised that we have more control over our dreams than we think. The author will explain how we can do that and even help you achieve lucid dreaming. Why should we care about lucid dreaming? The author will give you many reasons and some are actually very important to our well being. "been waiting ages for this"
Bought this recently as I've not had much success with Wake Initiated Lucid Dreams so far, way to much contradictory info on the net, not to mention people talking about WILD'ing is for masters its not, and this book clearly shows you why, thank you author, and last night I had another one, flying around some town at night in full lucidity with the stars outshining lamp posts as I gazed up, air filled with a kind of Mary Poppins static (lol don't ask me to try and explain that one) but you'll know when your there, was unreal ?? Now I'm not the greatest reader, have a slightly short concentration span, and I usually go for audios, but this book was fascinating and very easy to pick up and read, so that for me was an added bonus. - Top Book! For those who are not very successful with DILDs , WILDs could be the way to go. I suspect many people won't even try it because they've been told how difficult it is, but if they only gave WILDing a good go, they might be surprised! So, I'd say the book is definitely worth reading. The author does make clear that the major advantage of WILD is the ability to do lucid dreaming virtually at will, and to remain aware throughout the entire process, and that is truly an advantage. Ich habe mir dieses Buch gekauft, da ich bereits seit über 5 Jahren versuche regelmäßige/konstante Klarträume zu induzieren und bisher dabei noch keine nennenswerte Erfolge erzielen konnte. Ich habe das Buch nun knapp 1 1/2 Wochen und mich schon vorher in die WILD Technik etwas reingelesen. Hier wird Schritt für Schritt erklärt, was bei der Technik zu beachten ist und wie man sich perfekt darauf vorbereitet. Es wird die grundsätzliche WILD Technik ohne "Schnick-Schnack" erklärt. Der Autor möchte dem Leser vor allem vermitteln, dass die Technik nicht schwierig ist, wie es oftmals im Internet zu lesen ist. Mit etwas Übung kann man Klarträume auf Abruf induzieren. Man behält sein Bewusstsein bei dem Prozess aufrecht bis man sich im Traum befindet. 3 von den 6 Klarträumen habe ich Abends erfolgreich durchgeführt. (Darunter die 2 langen Klarträume) Die anderen 3 Klarträume habe ich während einem Mittagsschlaf induzieren können.